In many countries, Christmas is a time for decorating your house with lights, putting up a Christmas tree, exchanging cards, and spending an obscene amount of money on gifts for your loved ones. For some people, it's the most magical time of year; for others, it's a frustrating and expensive holiday they can't wait to see the back of. Either way, Christmas is undoubtedly the biggest holiday of the year. Every country is different, however, and not everywhere celebrates Christmas the same way as we do in Europe, the USA, and other western countries. 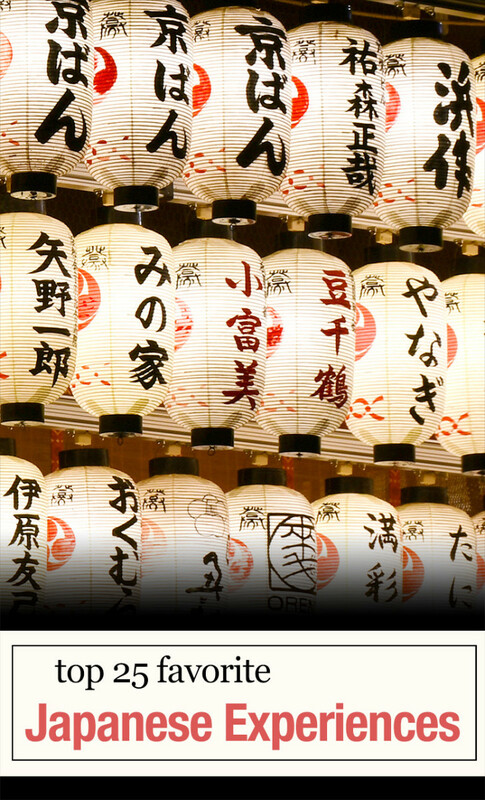 Japan is a country that has adopted many wonderful customs from the west as well as holding on to its own traditions. 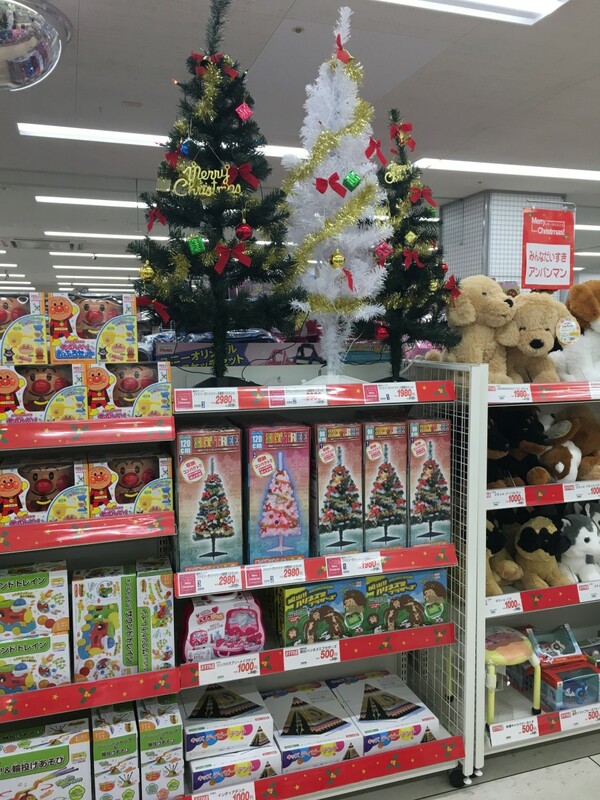 So what is Christmas like in Japan? Do they bother with it, or is it basically non-existent there? How is it different? Here are six big differences between Christmas in Japan and the Christmas you might recognise from Hollywood movies or your own neighbourhood. 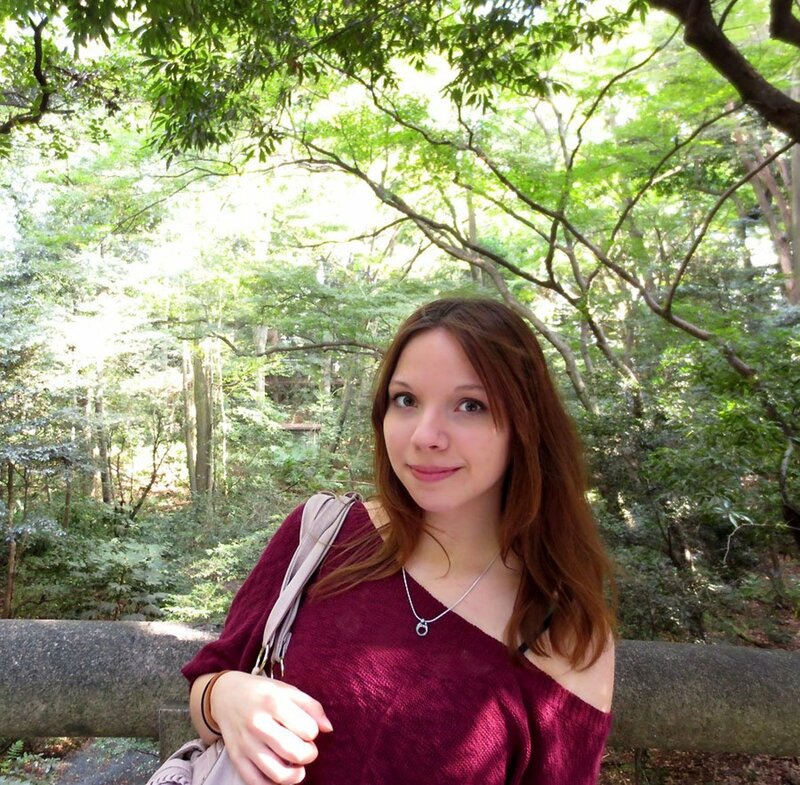 Have You Been To Japan During Christmas Day Before? No, and I have no current plans to. Yes, I live in Japan/have lived there during Christmas before. Turkey is not a meat that is particularly known or consumed in Japan, and Christmas is no different. While American expats are importing turkeys from their favourite frozen food chain, the Japanese are making reservations at Kentucky Fried Chicken. That's right; KFC is the most popular restaurant in the country when December 25th rolls around. Due to a very successful marketing campaign by the fast-food chain a couple of years ago, it has become a tradition to eat fried chicken on Christmas Day. Some other shops, such as the convenience store Family Mart, have followed suit by sending staff members outside to sell this fried treat. If you go to Japan during Christmas expecting to see roasted turkey dinners, you're going to be left disappointed. If you're in Japan during December, winter illuminations are a huge bonus. 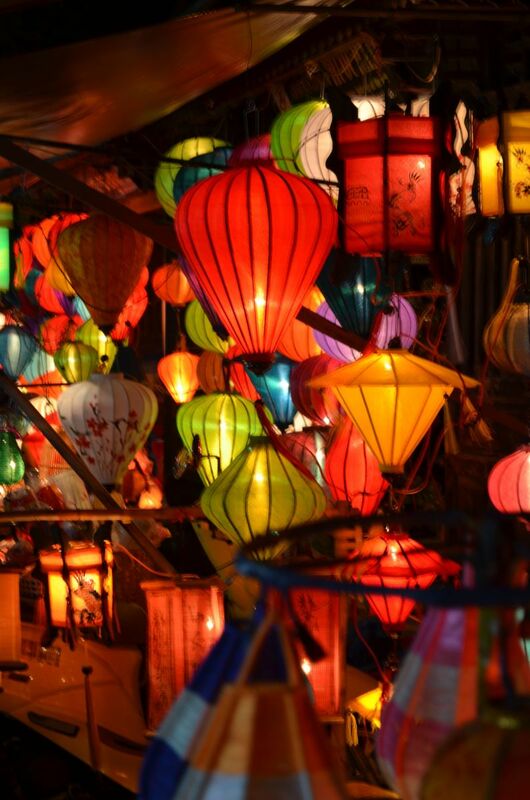 All over the cities, public light displays are set up for people to enjoy. These can be anything from light-filled trees to displays in the shape of characters, animals, or landscapes. 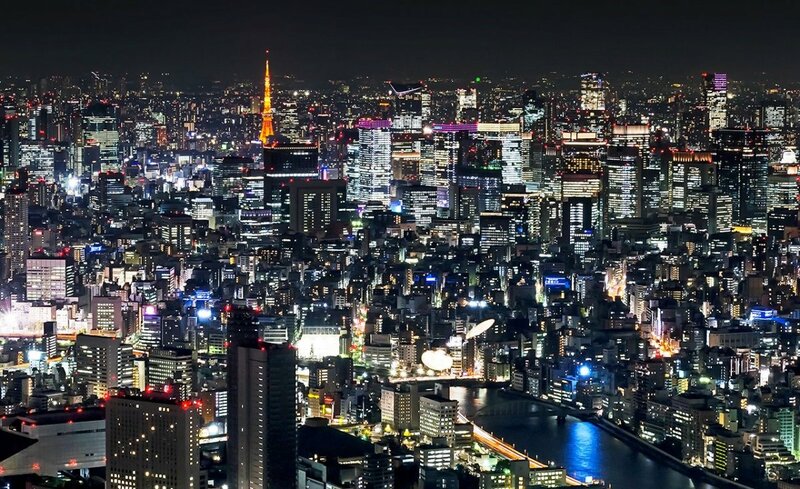 Tokyo Tower, Tokyo Skytree, Roppongi Hills, and downtown Shibuya are just a few examples of the places that light up every year with impressive displays. They can be very romantic just to walk around, and really set the mood for Christmas. Japanese people rarely decorate their homes with Christmas decorations, although this appears to be changing; it is easy to get your hands on lights, small trees, and other cute decorations around November and December. Perhaps it's the lights, maybe it's because it's a few months before Valentine's Day, or maybe it's the chicken, but there's something about Christmas that brings a romantic mood to the Japanese people. Unlike in the west, where we sit down with our families to enjoy a home-cooked meal, the people in Japan like to spend Christmas with significant others, either on dates to Disneyland (yes, that's a thing) or wandering around under the illuminations waiting to confess their love. Hilariously, the busiest time for maternity hospitals is the summer as babies in Japan tend to be born around August, which is a coincidental eight months after Christmas. For almost everybody in the west, Christmas Day and some days surrounding it are holidays. On December 25th, shops are closed, schools are empty, and almost everyone is at home, enjoying some peace and quiet with their family. 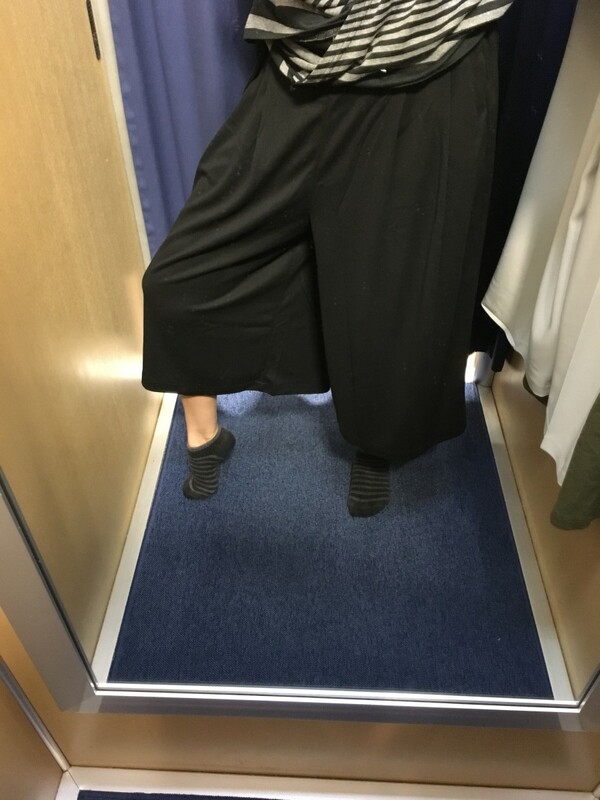 The same can't be said for Japan. The 25th December is a normal business day in this country, and students are often still at school and offices still open. Keep this in mind when you visit! The good news is that it is unlikely to affect your travel plans. In the west, New Year isn't much more than counting down the seconds to midnight, maybe enjoying a glass of champagne, and finding someone to kiss. 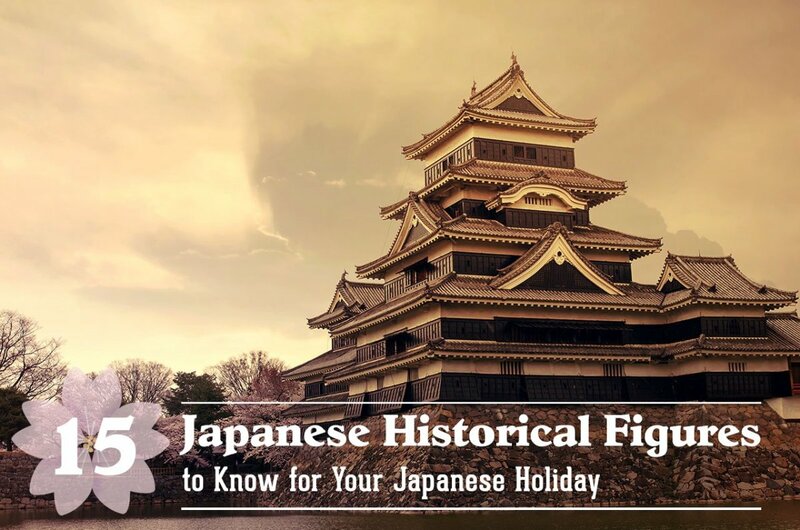 Japan, however, has been celebrating the last and first days of the year in their own way for centuries, and many customs are still practiced today. Unlike Christmas Day, the New Year period is actually vacation time for schools and offices, so expect many places to be closed on these days. First of all, New Year is a time for eating very special food. Markets are bustling with mothers trying to get fresh catches and special, expensive types of foods (generally called "osechi") with which to treat their families. The mothers then go home and prepare everything a few days ahead of time so that they can relax during New Year's Eve. People send each other New Year greeting cards as opposed to Christmas cards. They are expected as a formality between acquaintances and are also exchanged among friends. At midnight, families visit shrines to make wishes for the new year. They might drink amazake, a sweetened, warm rice wine that is easy to drink and said to boost your immune system. 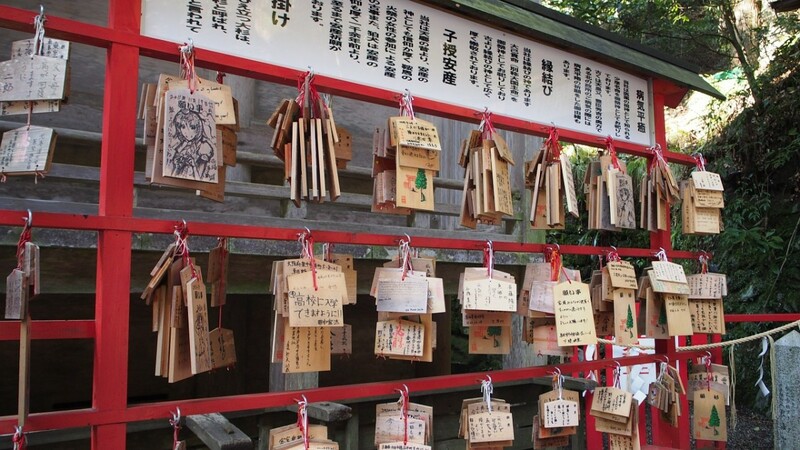 People may purchase omamori lucky charms to ward off bad luck. On New Year's Day, mochi (rice cake) treats are enjoyed, either savoury in a bowl of soup or as a small cake. Christmas Day is simply a period of eating chicken and enjoying some pretty lights, whereas New Year's is the serious, real holiday expected to be spent with family members. You won't typically see many nativity plays or busy churches in Japan at Christmastime. 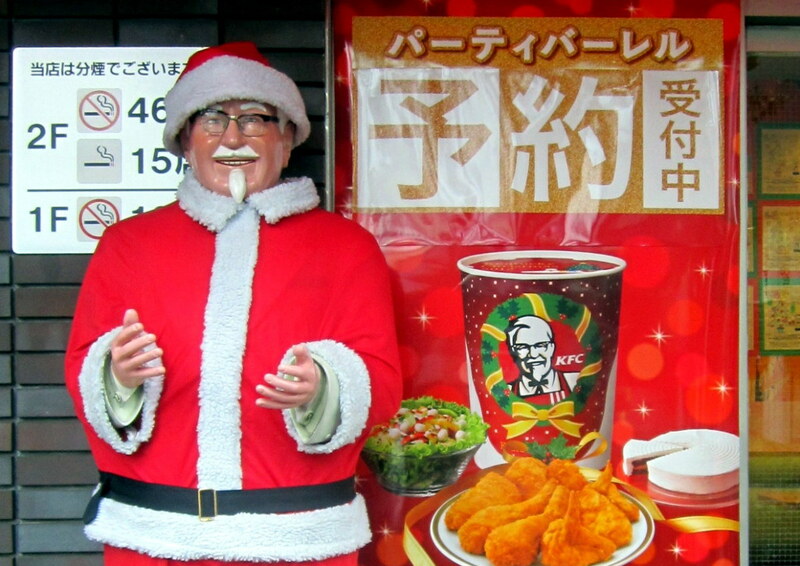 For the Japanese, Christmas is a fun time of year for illuminations, romance, and fried chicken. The religious part comes at New Years, when they pray at a temple near midnight, and then head to shrines during early January to wish for good luck. You won't see much of the religious side here. Christmas is an entirely new experience in Japan and can feel very unusual if you're used to a more western-style practice. 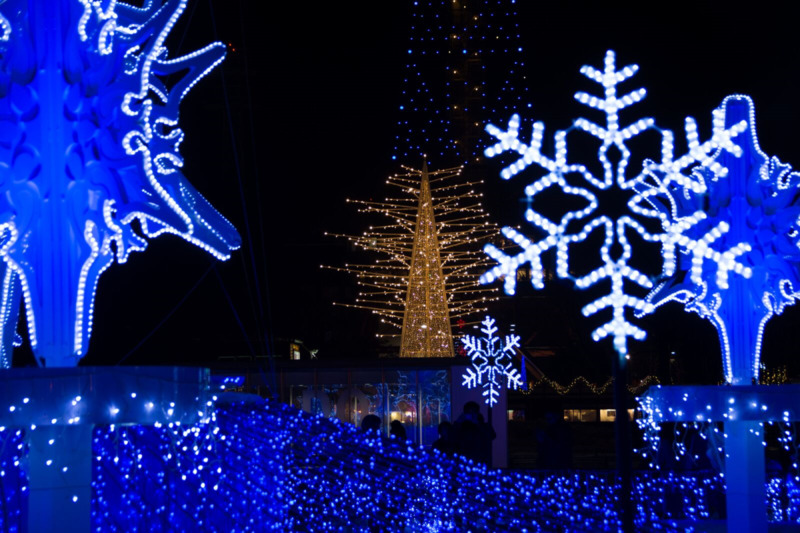 If you visit the country during this time, be sure to see some illumination displays and try some local Christmas-themed goodies such as cake. Most importantly, enjoy yourself and surround yourself with many different experiences. Hi, Angel! I read back my comment on your Chicago article and it sounded much ruder than I meant it to, so I'm very sorry about that. And thank you for commenting on here! I hope you get to visit Japan someday. Japan does have Popeye's, but they aren't as abundant as they are in America. Wow I'd like to visit Japan in December. There is a KFC walking distance from me and another 3 miles away, lol. Do you guys have Popeyes? Please do not be swayed about Chicago being a bad place. It is constantly one of the top tourist destinations year after year. Haha yeah I know what you mean. The Japanese aren’t really involved with political correctness in general, which is refreshing. Thank you so much for commenting! Awesome article! Another thing I noticed here in Japan (similar to #6) is that Christmas isn't "political." Saying, "Merry Christmas" or "Happy Holidays" doesn't trigger some idiotic tribal war. That's what I love most about it! Yes, I've decided to add a bit about Christianity. Thank you for commenting. It is interesting to see how Japan has adopted and discarded elements of a western Christmas and put their own spin on it. I guess the whole Christian element of Christmas is omitted in Japan? Thank you, Louise. I hope you get to visit one day. Yes, every country celebrates Christmas differently. 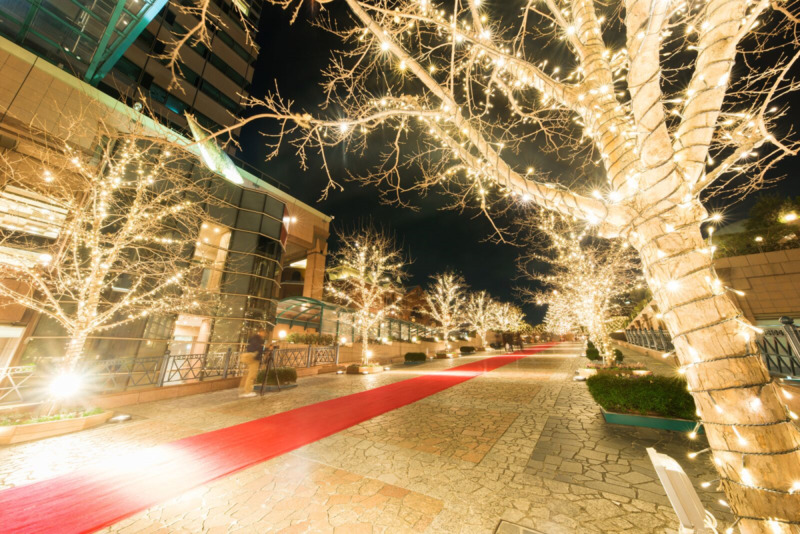 I would like to visit Japan and experience Christmas there. It would certainly be very different to how I celebrate it here in England. The illuminations look lovely. That I would love to see.